Everything is bigger in Texas and that's the case when it comes to the toughest high school football playoff brackets. Three brackets from Texas are featured. It is officially playoff time in high school football. Every state outside of Texas will have started or ended the postseason by the end of this weekend. The Lone Star State gets cracking next week and the state championships are the weekend before Christmas. Speaking of Texas, they are the leaders when it comes to playoff brackets selected. They claim three of the Top 10 spots. Both 6A fields and the the 5A-Division I bracket all made the list. Winning a state title in Texas football is one of the hardest things to do in high school sports and especially in the three largest classifications. The other seven states include California, Florida, Georgia, Maryland/Washington D.C., Ohio, New Jersey, and Alabama. See the video above for a breakdown of each. Watch the video above for the order of the Top 10. 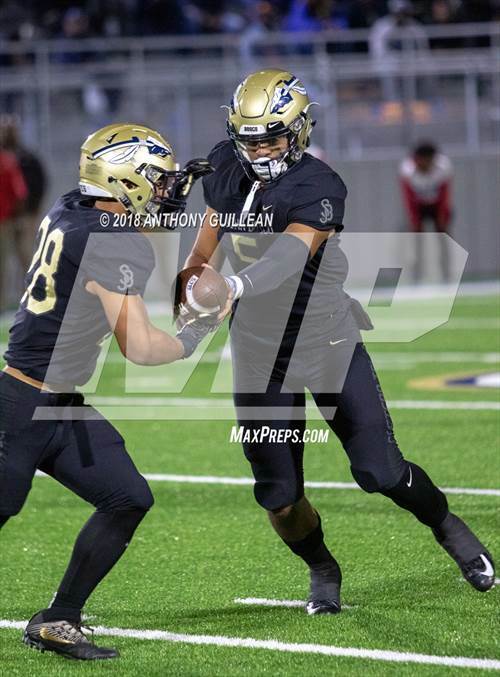 The CIF Southern Section Division I bracket down in SoCal has four Top 25 teams and the 16-team field features the best squads in the state. No. 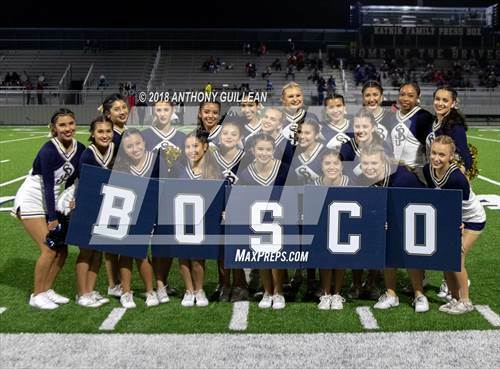 1 St. John Bosco (Bellflower, Calif.), No. 4 Mater Dei (Santa Ana, Calif.), No. 8 Centennial (Corona, Calif.) and No. 19 Oaks Christian (Westlake Village, Calif.) all advanced to the quarterfinals with wins last week. The Ohio Division I tournament was an easy selection and it features 32 of the top teams from The Buckeye State. Some notable teams include No. 24 Colerain (Cincinnati, Ohio), Mentor (Mentor, Ohio), Elder (Cincinnati, Ohio), St. Edward (Lakewood, Ohio), Hilliard Davidson (Hilliard, Ohio) Reynoldsburg (Reynoldsburg, Ohio), and the defending D1 state champs - Pickerington Central (Pickerington, Ohio). New Jersey's Non-Public Group IV bracket features some of the best teams in high school football. 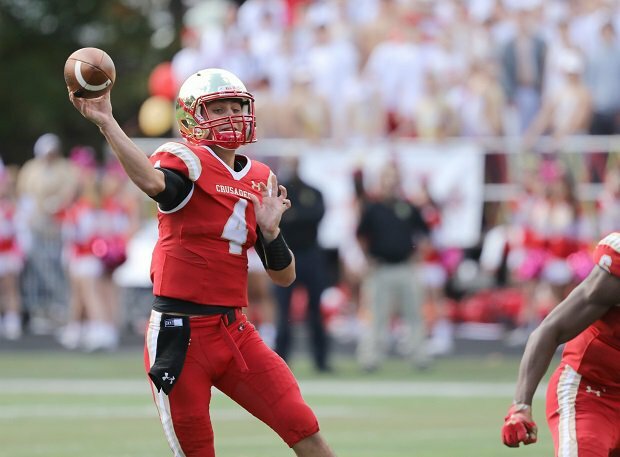 Bergen Catholic (Oradell) looks to defend its state title Friday against eight seed Seton Hall Prep (West Orange). The other three matchups feature No. 5 Delbarton (Morristown) vs. No. 4 Don Bosco Prep (Ramsey), No. 3 St. Peter's Prep (Jersey City) vs. No. 6 St. Joseph (Metuchen), and No. 2 St. Joseph Regional (Montvale) vs. No. 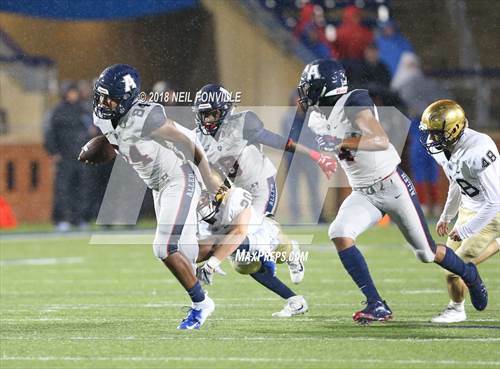 7 St. Augustine Prep (Richland). The four other states get started this week. 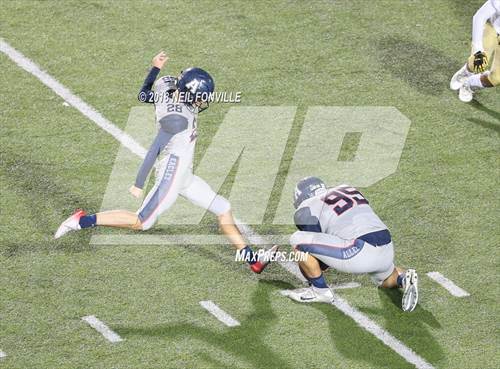 The WCAC features the top four teams from the DMV area — No. 3 St. John's (Washington, D.C.), No. 25 DeMatha (Hyattsville, Md. ), Gonzaga (Washington, D.C.), and Our Lady of Good Counsel (Olney, Md.). The AAAAAAA bracket in Georgia is one of the toughest postseason tournaments to win. It features 32 of the best teams from the Peach State led by No. 9 Colquitt County (Norman Park), Grayson (Loganville), Hillgrove (Powder Springs), Archer (Lawrenceville), Milton, McEachern (Powder Springs), and the defending AAAAAAA state champs — North Gwinnett (Suwanee, Ga.). Alabama's 7A tournament is one of the most underrated in the country. The back-to-back state champs — Hoover — have won six state titles since 2009. If the Bucs make it seven over the last 10 years they will have to earn it. Thompson (Alabaster), Hewitt-Trussville (Trussville), Central (Phenix City), and McGill-Toolen (Mobile) all have the talent to end the Bucs streak in 2018. Expect the winner of the No. 5 Carol City (Miami) vs. No. 11 Central (Miami) matchup in the second round to win the 6A class and No. 13 St. Thomas Aquinas (Fort Lauderdale, Fla.) is the favorite to win the 7A bracket. But the most competitive, wide-open bracket in the Sunshine State has to be the 8A tournament. Sure, the others have the Top 25 names, but 8A is as tough to win as any bracket in the country.